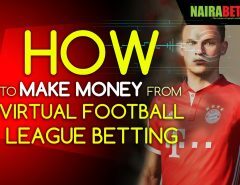 Some time ago, we discussed betting in the virtual football league market on the blog; how it works, its many advantages and how it can make you rich. While we will continue that discussion today, we will be concentrating more on another virtual market available on Nigeria’s first and best sports betting website, NairaBET.com. With computer simulations generating games to bet on very two-three minutes, and outcomes also being produced that quickly too, virtual betting is the way to go if you’re looking to make some quick money. So apart from football, which other market is available to bet on in the world of virtuals? There’s virtual dog racing. Ever heard any one of your friends scream, “Aja 4!”? (It was actually trending as a slang in Nigeria, especially in the entertainment world, sometime ago.) This is the market they most probably were referring to. Before we discuss how to make money from betting on virtual dog racing, let’s quickly touch on how the market works. What is it like? How does the system run? It’s quite simple. Just like any game available in the virtual world on NairaBET.com, the games that you will be betting on in virtual dog racing are usually generated by computer simulations. Upcoming races are queued up. One after the other, each race is displayed with the available odds. Usually there are six dogs that will race against each other, with each dog bearing a number (1-6). And with each race, you have the opportunity to place as many kinds of bet as possible. You can predict which dog will win the race, which dogs will finish top two or top three, in exact order or in any kind of order. More exciting is the fact that there’s at least one race to bet on every 2 minutes (3 minutes max.). This means that in one hour, you can place bets on at least 20 games and in one day, at least 480 dog races! Before you can start betting on virtual dog racing on NairaBET, you need to open an account in which you will deposit the money you will bet with. With this account, you have access to all markets on NairaBET.com, including virtual dog racing. 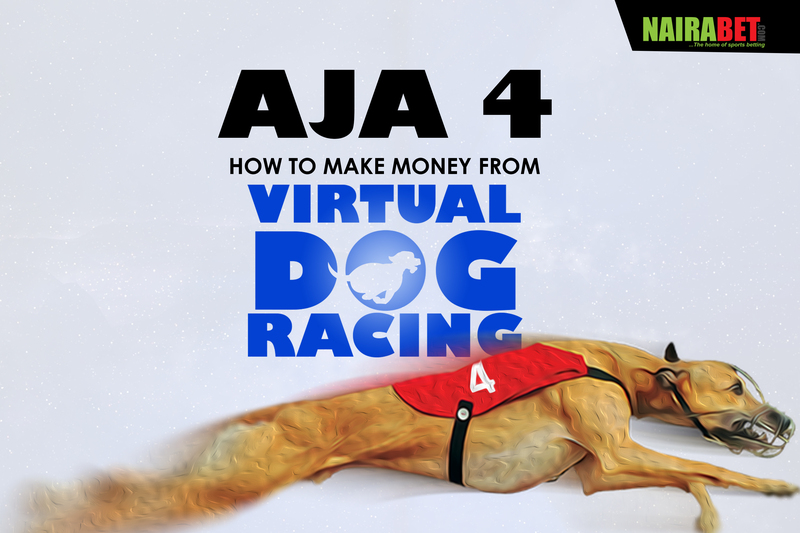 Looking to make your Aja 4 gbera (win on virtual dog race betting) but you don’t have a NairaBET account? Click here to INSTANTLY open one and cheer your dog to victory every time. Because of how many games there are to place bets on in a day, events occur as quickly as possible in the virtuals world. With a slow internet connection, you may lose out on all the fun… and the potential money to be made too. You can avoid this by getting yourself a strong internet connection and a computer – which will make betting much more easier for you. Just in case you don’t have access to all of these yet, no need to worry. You can still make all the money you want from betting on virtual dog racing. All you need to do is visit a physical NairaBET shop and place your bets. Who knows? You may just make well enough to get yourself a personal computer and a good internet which you’ll use to place your bets in the privacy of your home. You need to be able to identify what works for you before you even start placing any bets. Do you prefer predicting straight wins or tricast (predicting the first 3 dogs to win the race)? Place or Show? Which one are you more comfortable with? Identifying this will help you in the long run on your journey to making money from betting on virtual dog racing. Now that you have identified another way to make money on NairaBET (if you haven’t before now), we expect you to swing into action and make the most of the opportunity. Click here to start placing virtual dog racing bets now and make all the money you want. PS: Have you tried virtual dog racing before? What was your experience like? Gist us in the comments.